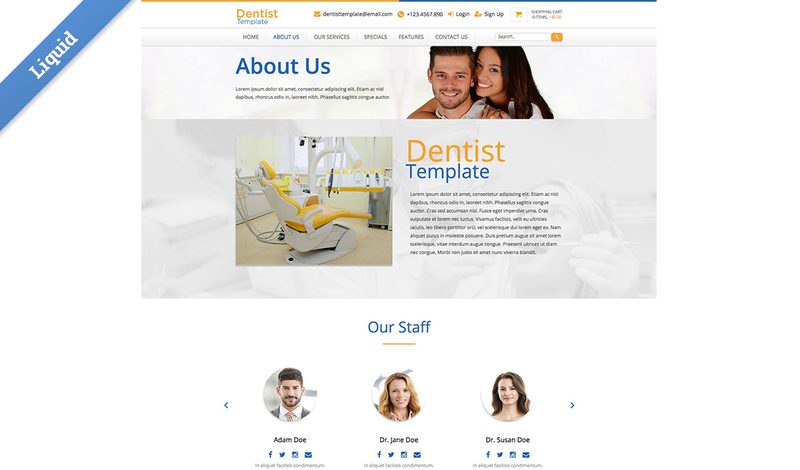 This template is designed to support a professional services business. 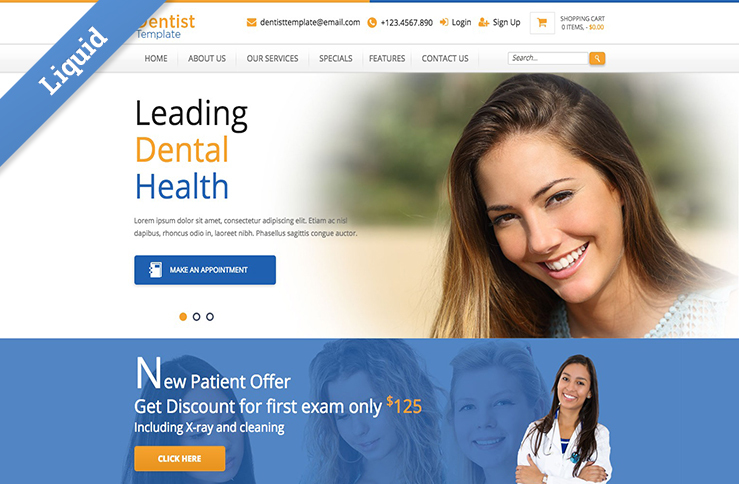 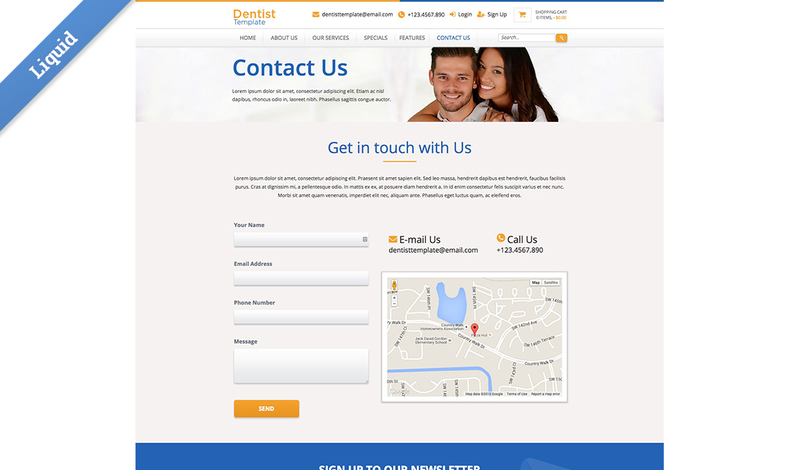 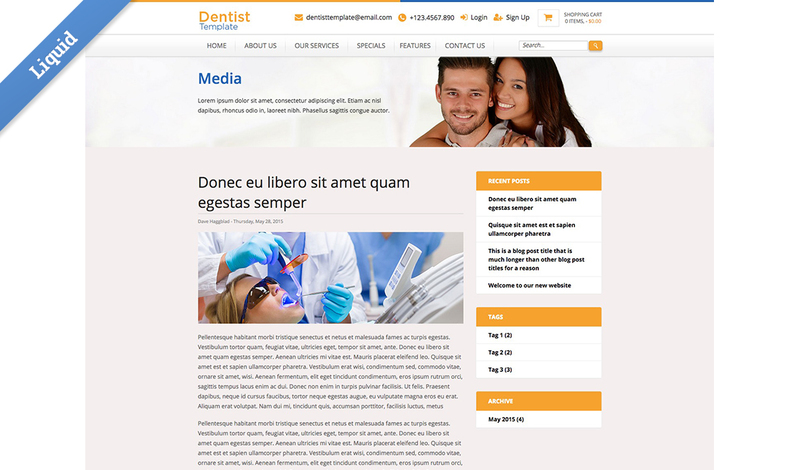 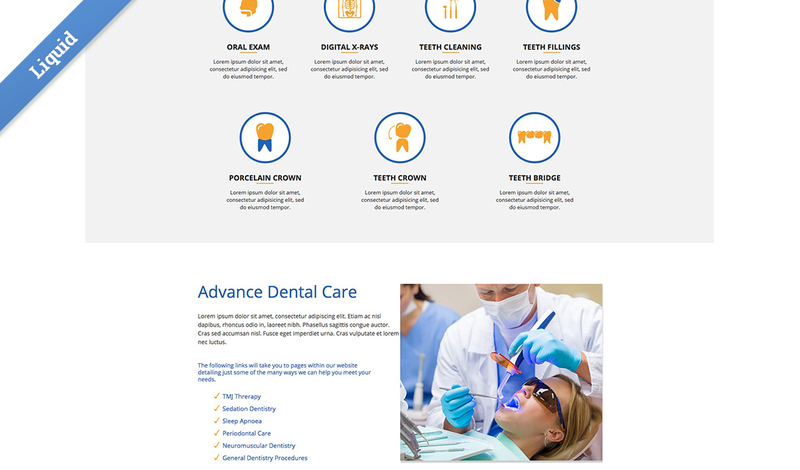 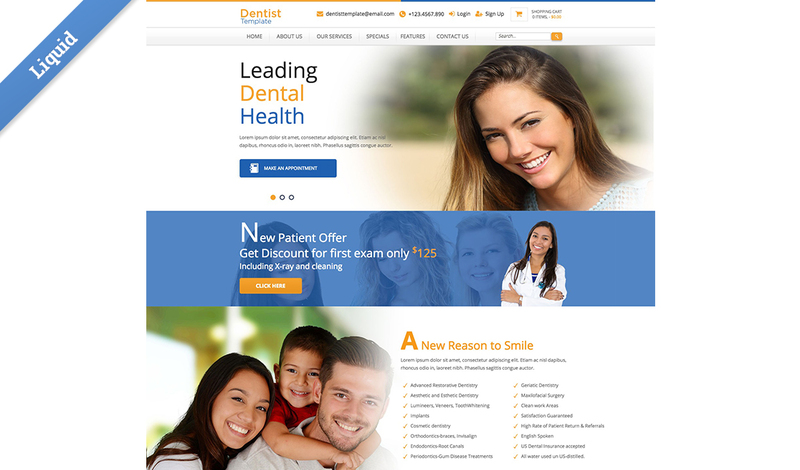 In this case the theme is a Dentist but you could easily customize it so it would work for a doctor, chiropractor, or other professional service. 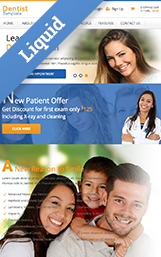 The home page has a slider to present offers or services, though you could remove the slider and insert an image or video if that is more appropriate for the service company you're building the website for. 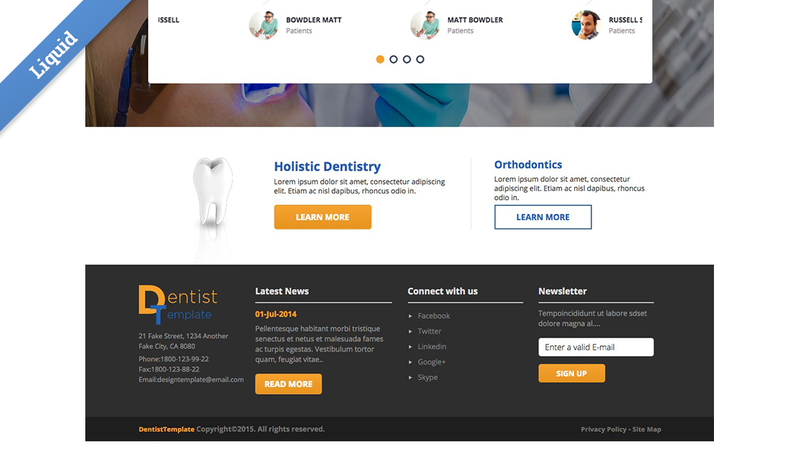 For instance you could take the section from the top of the about page and insert it where the slider is. 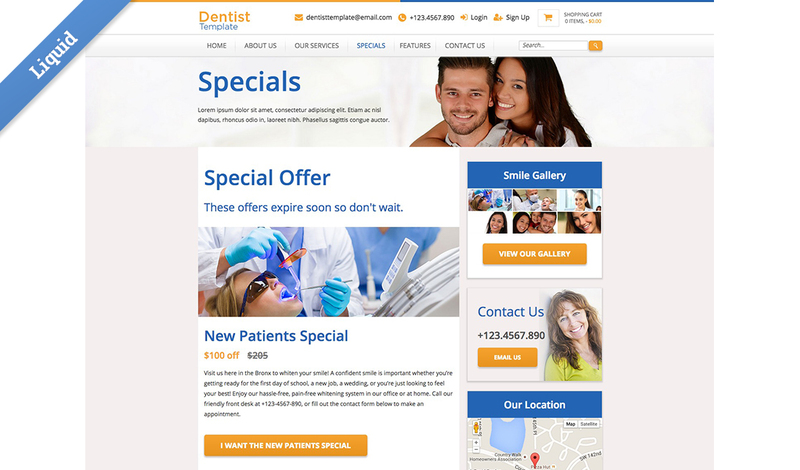 There's also a Special Offers page, set up so your client can present deals or offers to attract new customers or reward existing ones. 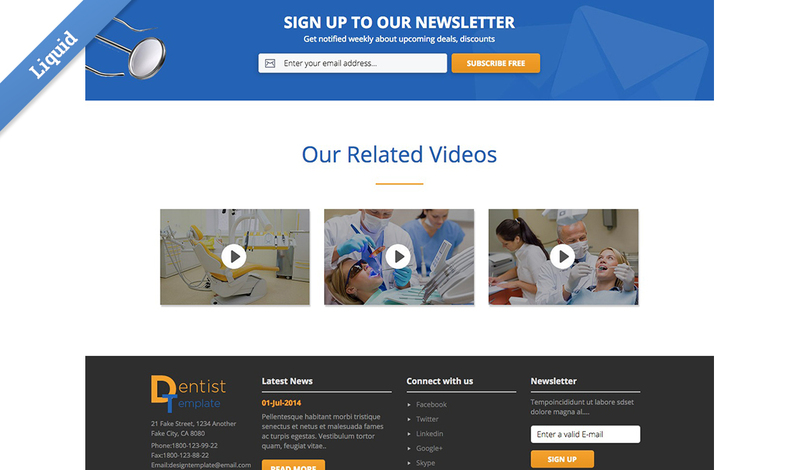 Please watch the introduction video for more information about this template. 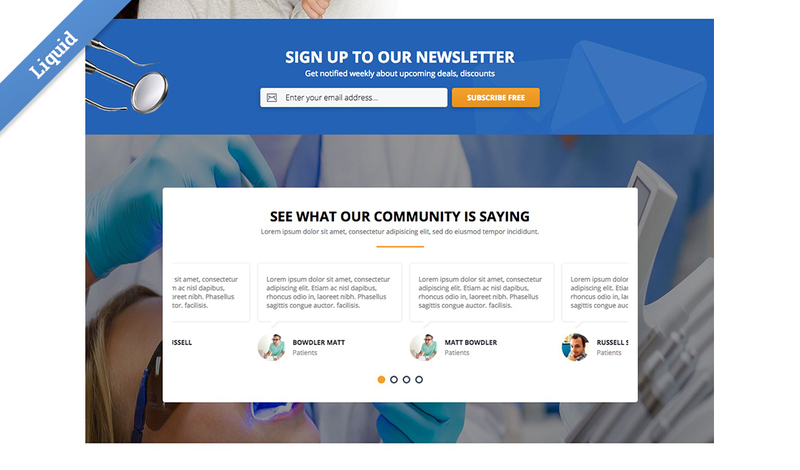 The hero, services, staff, video and testimonials sections are all web app driven, making it easy for you and your client to quickly add and update content.